It is based on validated assessments of risk and needs. It indicates appropriate interventions to address the highest areas of criminogenic need. It is developed early in the period of incarceration. It is shared with members of the case management team. It follows the individual through his or her time in the jail and post-release. Identify the assessed risk level and criminogenic needs of the incarcerated person. Develop strategies to address obstacles and triggers. Outline the incarcerated person's responsibilities clearly and concisely, and work with him or her to gain consensus on how to carry out these responsibilities. Articulate specific goals that are directly related to the highest rated domains of criminogenic need. Each goal should specify strategies that are clearly stated, measurable, attainable, relevant, and have a timeline. Afford a degree of flexibility to accommodate change and recognize small successes during planning, treatment, and intervention. Identify the individual's strengths or protective factors, and build strategies to maximize prosocial assets already present in the individual's life. Assess the need for interventions to minimize the effects of criminal thinking on the realization of an offender's transition plan. Assess the individual's readiness for change, and consider the best ways to enhance motivation for change. The transition plan template (click here) reflects the minimum requirements of an effective transition plan. Our purpose is not to recommend anyone transition plan, but instead to provide you with a transition plan template you can modify based on your jurisdiction's needs. However, as discussed in the previous section, each plan must identify the types of interventions an individual needs, when and where interventions should occur, and by whom. The plan reminds you of the importance of an objective, validated assessment to guide the transition plan. For example, a person who does not have a substance abuse problem should not be referred to substance or alcohol treatment. You will want to modify this portion of the plan based on the risk assessment used in your facility. Persons who have a medium- to high-risk score should have more referrals than those with low-risk scores. This section of the plan identifies the 10 most common needs incarcerated people face when returning to the community. It’s important to remember that intervention in the following needs is based on assessed needs, not a one-size fits all intervention strategy. Recognizing the need for multiple types of identification—for example, to apply for a job, public benefits, or a driver's license—this section determines the number of identification documents a person has. Ideally, the individual will have access to identification application forms in jail to begin the process prior to release. Recently released persons will need a source of income, at least temporarily, until they are employed. Though not all will qualify for public entitlements, this plan identifies the available benefits so individuals can begin applying for eligibility while incarcerated or at release. The first few hours and days after release are crucial in determining whether a person will recidivate. Those discharged without reliable transportation to home or to a program may find themselves dropped off or walking in an environment that triggers problematic behavior. Over the longer term, transportation is a key factor in gaining and maintaining employment, attending school, making appointments, and participating in treatment. Stable housing is an important component of successful reintegration back into the community. Those released without shelter are more likely to return to the criminal justice system. For individual and public health reasons, it is important that recently released individuals attend to their health care needs; a plan to maintain their medical regimen after release and a referral to a health care provider for any health-related issues are key. Individuals with mental health issues must have medication at release and continue with mental health treatment immediately upon release. Substance abuse is a dynamic criminogenic risk factor that affects recidivism. Those identified with a recent history of problematic drug use or dependency should be referred to treatment. Though reuniting with family members can be exciting, it can also be stressful for both those returning to the community and their families. It is important to know what the family situation is prior to determining whether marital and family counseling and parenting classes are appropriate. Many factors—including family criminality, domestic violence, sexual offense, and varying levels of abuse—are important considerations. A low level of personal education is a criminogenic risk factor. Though education is often not included in a person's short-term transition plan, it should be noted for longer term planning, particularly if the person does not have a high school diploma or GED. Getting a job is one of the most important things people need to do after release. The job development section helps begin the process by identifying what, if any, skills must be attained before the individual is employable. Paying financial obligations is an important part of the transition process. Failure to pay court fines or child support increases the chance of the person being re-arrested and possibly serving additional time in jail. This section identifies the prerelease interventions based on assessed higher risk needs delivered by either jail staff or community-based providers conducting jail “in-reach” that are available to meet the needs of the incarcerated population. The plan identifies what program(s) a person has participated in and whether he or she will need to continue working on each identified need in the community after release. This section will help determine moving into step-down programs like work release, day reporting, and electronic monitoring. Each jail should modify this section based on its range of existing transition programs and services available within the jail and the community. This section specifies effective interventions in the community designed to continue the work begun in the jail facility to address the person’s needs at the “moment of release”—those critical first hours and days after release—and longer term—weeks and months after returning to the community. A comprehensive knowledge of community resources by the transition planner is essential. Each individual who needs a referral must be given the agency's name and address as well as a contact person's name, and in many cases the date and time of an appointment. Though the post-release plan is initially developed in jail, it should be reviewed and revised by a community-based partner upon release. Released individuals often have a difficult time following up on a referral, even when post-release services are available and accessible. This plan includes a reentry accountability plan so the person can work with his or her case manager or counselor to identify behaviors that may impede them from utilizing a referred community service. This section records whether the transition plan was completed and discussed with the incarcerated person. This section formalizes the transition plan process and requires the inmate to sign the agreement in an effort to increase buy-in and participation. 1. Burke, Peggy B. Burke. 2008. TPC Reentry Handbook: Implementing the NIC Transition from Prison to the Community Model. 2. Howard County, MD Detention Center. Howard County Reentry Checklist. 3. Denver Sheriff Department. Denver Jail to Community Reentry Case Management Form. 4. Douglas County, KS Sheriff’s Office Corrections Division. 2008. Reentry Eligibility, Rules and Expectations. A comprehensive inmate questionnaire: Reentry eligibility, rules, expectations and development of transition goals. 5. Hennepin County, MN. Hennepin County TJC Transition Plan. 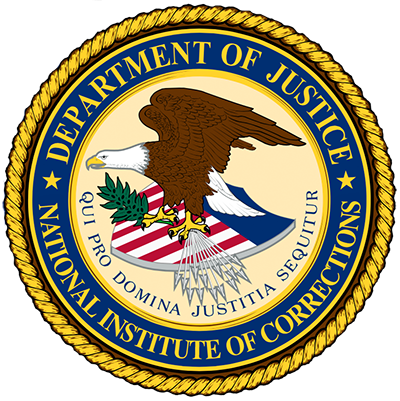 1 Peggy B. Burke, TPC Reentry Handbook: Implementing the NIC Transition from Prison to the Community Model (Washington, DC: Center for Effective Public Policy, The National Institute of Corrections, 2008). Outline the incarcerated person's responsibilities clearly and concisely. Highlight organizational strengths that will facilitate adoption of the TJC. Incorporate the opinions of all partnership employees. At a minimum, detail whether the incarcerated person keeps his or her cell tidy. In this section, you learned both the rationale for each section of the transition plan and the 10 most common needs incarcerated people face when returning to the community. A transition plan template was provided, which you can modify to fit your jurisdiction's needs.